Caldera Forms Pro is a service that makes everything about Caldera Forms emails and notifications more reliable and awesome. 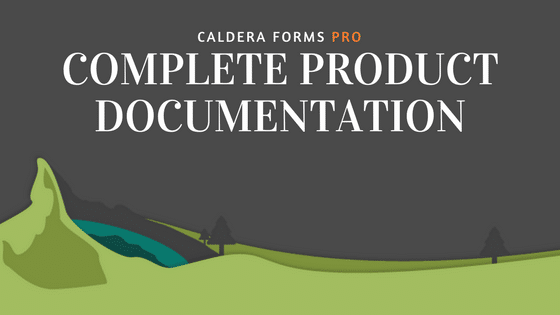 This is the full guide to using Caldera Forms Pro. 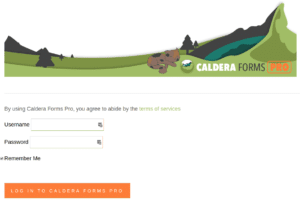 In order to use Caldera Forms Pro, you must have installed Caldera Forms 1.5.8 or later on your WordPress site and have a Caldera Forms Pro account. You will also want to make sure that your WordPress site gets meets the minimum requirements to use Caldera Forms Pro. There is no separate plugin needed to use Caldera Forms Pro. If you have the old API client plugin installed, please uninstall it. Caldera Forms Pro is not a different plugin than Caldera Forms Free. You will not lose any settings or form configurations by upgrading to pro. You simply activate pro, which is documented in the next section, and now you use the same forms with more features. You will not lose any data. To login to the app, navigate to app.CalderaFormsPro.com. You will likely be directed to login. On the login page, you will use your CalderaForms.com account to login. After you login, you will ask to select which of your Caldera Forms Pro accounts you wish to use, by public key. We make it possible to have more than one account so if you develop sites for clients, you can give each one a different account. Select the account to continue button. You will be taken to the Caldera Forms Pro app and should now see the Caldera Forms Pro main dashboard. Caldera Forms Pro will attempt to use the from address set in your Caldera Forms mail and auto-responder emails. But for safety’s sake its good to give it a default reply address. To do this, open the left sidebar menu and click Account. Then on the account page, fill in the Default Reply Name and Default Reply Email fields. Then click the Update button to save. While you’re on the account page, notice that your API keys are displayed there. You will need those soon. Also, there is a setting for Default Layout. You will want one or more of those, so let’s make one. In the next step we will look at how to set which layout you want each form to use for emails and PDFs. But, to be safe, you should set a default layout. Any form that doesn’t have a layout set for it, will use the default layout. If you have no layouts saved, a basic layout with the message content from the email tab and any auto-responders you added to your form as the email content will be used. Go back to your accounts page by opening the left sidebar menu and clicking the Account menu item. Then find the Default Layout setting and choose your default layout. Click the Update button to save your account. Keep this window open as you are going to need your API keys in the next step. Short version – Caldera Forms Pro, by default, send whatever you put in the message content of the email and auto-responder(s) as the content of the email. You can use Caldera Forms Pro to create email layouts that show submission information along with images, and static content. The layout builder is where you will create one or more layouts for your emails and PDFs. You can choose to use 1 layout for every form’s email and PDF or a different one for each form. You can even choose to use a different layout for PDFs or emails. You can access the layouts section by opening the left sidebar menu and clicking on the Layouts menu item. We have complete documentation on how to use the layout builder here. 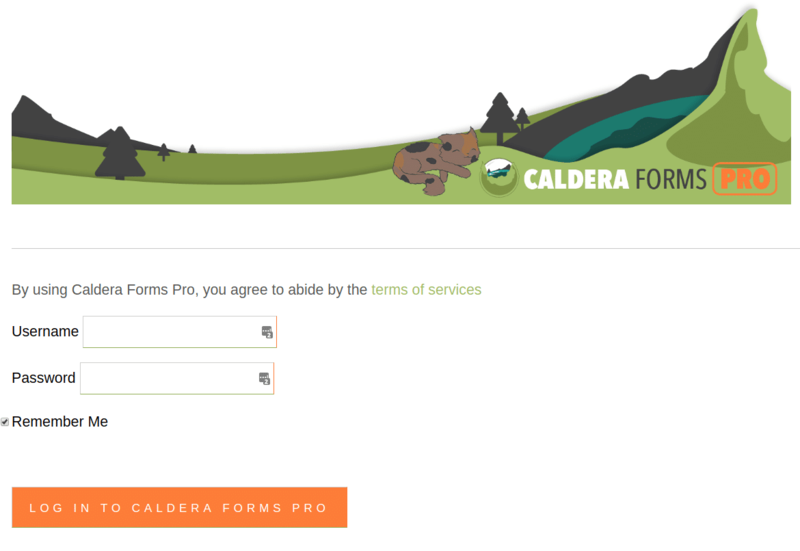 Now in the WordPress site you wish to use Caldera Forms Pro on, login in and go to the WordPress dashboard. Under the Caldera Forms menu, you should see a submenu item Caldera Forms Pro. If you do not see this, you will need to upgrade to Caldera Forms 1.5.1. Click on the Caldera Forms Pro menu item. If you do not have the Caldera Forms Pro client installed, you will see a button on this page labelled Install Caldera Forms Pro. Click that button. This will install the client plugin. You can also get the client plugin by downloading it from Github and manually uploading it to your site. Once Caldera Forms Pro is installed, return to the Caldera Forms Pro settings page. You should now see a tabbed interface. The first tab is Account. In this tab, you will see two settings. The first setting is API Public Key and the other is API Secret Key. You can copy these from your Caldera Forms Pro account page. Once you add both keys, Caldera Forms will verify your account. If verification is successful, you will see the word “Connected” in the top bar. If not, double check your API keys and that you have not add additional characters or spaces. Once you are connected, go to the Settings tab. This tab only has one setting, for now. Enable Enhanced Delivery. You must click this if you wish to use Caldera Forms Pro to deliver your emails reliably, and track open, click and spam report stats. This is required if you wish to attach PDFs to your emails. If you want to create multiple layouts, you can select which one to use for each form in the Form Settings section. You can use the Choose Form dropdown to choose a form to modify the settings for. This gives you four additional options. 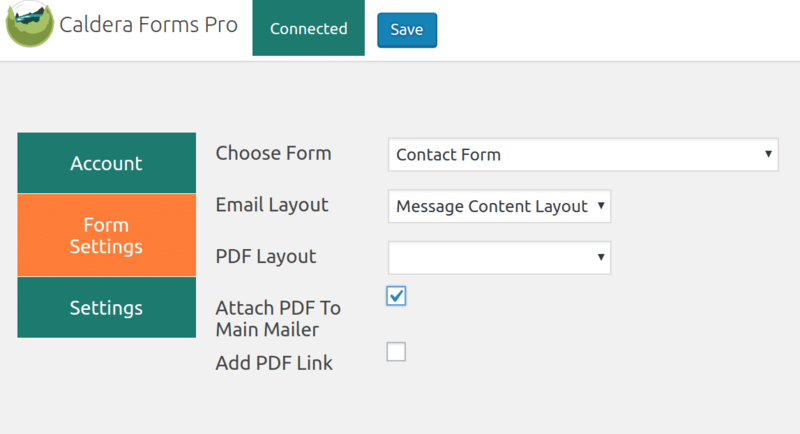 Email Layout – This selects the layout to use for emails from this form. If it is empty the default layout will be used. PDF Layout – This selects the layout to use for PDF generated by this form. If it is empty the default layout will be used. Attach PDF – If checked, a PDF will be attached to the main mailer email. PDF Link – If checked, a link will be shown in the front-end after a completed submission. The Caldera Forms Pro sub menu gives you one central location for managing all of your form settings. Also, when you are editing a form, there is a Pro tab. This tab has settings for just the form currently being edited and are the same 4 settings that were listed in the last section. You can use either locations for Caldera Forms Pro settings for your forms. Use which ever location is more convenient for you. That’s it, your Caldera Forms emails are now more awesome. Just make sure you hit save, and take a moment to enjoy life. Life is awesome and wonderful. How Do I Change “No-Reply@CalderaFormsPro.Net” Without The Emails Going To Spam? A feature of Caldera Forms Pro is that we send the emails through a verified domain to prevent clients from blocking the emails. This verified domain is calderaformspro.net, and other domains, if not verified, tend to be flagged as a phishing attack / spam. This is an important part of how Caldera Forms Pro ensures your emails are delivered given modern spam filtering rules. If the email wasn’t set from a trusted domain, the email could appear to becoming from your email address, but sent by another server, which looks like a phishing attack to Gmail, Exchange or other clients, so they will most likely not deliver it. With Caldera Forms Pro, the from email is coming from a verified domain with properly set DNS records. We’re putting a lot of work into managing that system so you don’t have to worry about any of it and you benefit from future improvements we implement to keep up with how sending an email from a WordPress site is getting harder as time goes on. Is it essential to your project to change this email address? Tell us what your goal is by opening a support ticket: maybe we can suggest a workaround that gets the job done while ensuring reliable notifications.